Petrobras is the largest integrated energy firm in Brazil and one of the largest in Latin America. 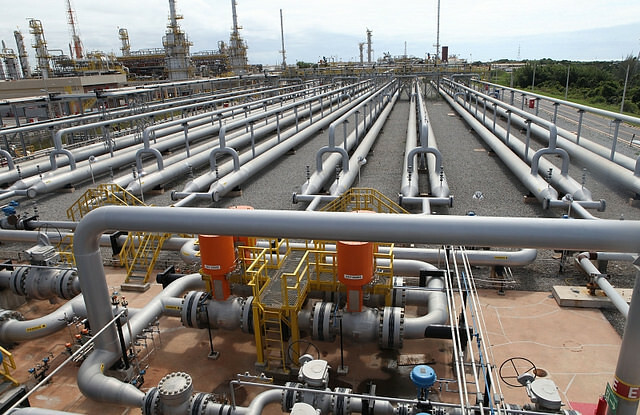 Energy officials from Petrobras announced on last week that it will sell 90 percent of it’s stake in the fully owned subsidiary Transportadora Associada de Gas SA (TAG). TAG, a unit for transporting natural gas, is in charge of operating a 2,800-mile pipeline system located in the country’s north and northeast. The company has the capacity to transport up to 74.7 million cubic feet of natural per day. The statement went on to warn that forfeiting logistical control of the country’s natural gas supply would grant greater leverage to multi-national corporations in future negotiations with regards to royalties, gas prices and labor conditions. Union members also warned that the privatization plans could lead to more expensive gas bills, which might disproportionately impact low-income and socially marginalized populations. The most recent announcement takes place as the Temer administration continues its aggressive pursuit of selling public assets without public consultation. Headquartered in Rio de Janeiro, Petrobras is the largest integrated energy firm in Brazil and one of the largest in Latin America. Petrobras has historically maintained necessary control over Brazil's energy industry, controlling over 90 percent of the country's oil and natural gas production.